Osmocote Exact Protect has been especially developed for autumn pottings of nursery stock in the period of mid October until mid January. 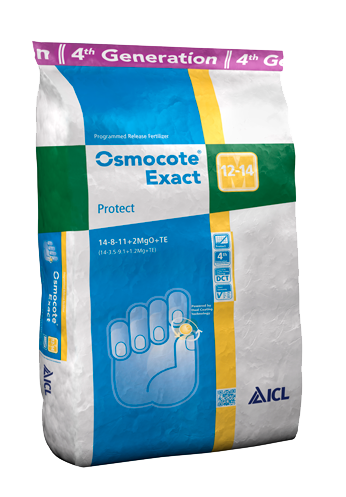 Application of Osmocote Exact Protect is ideal for i.e. conifers and roses, bare rooted plant material / grafted material in autumn/winter pottings. Its safety makes Osmocote Exact Standard 8-9 M highly suitable for pot plants. 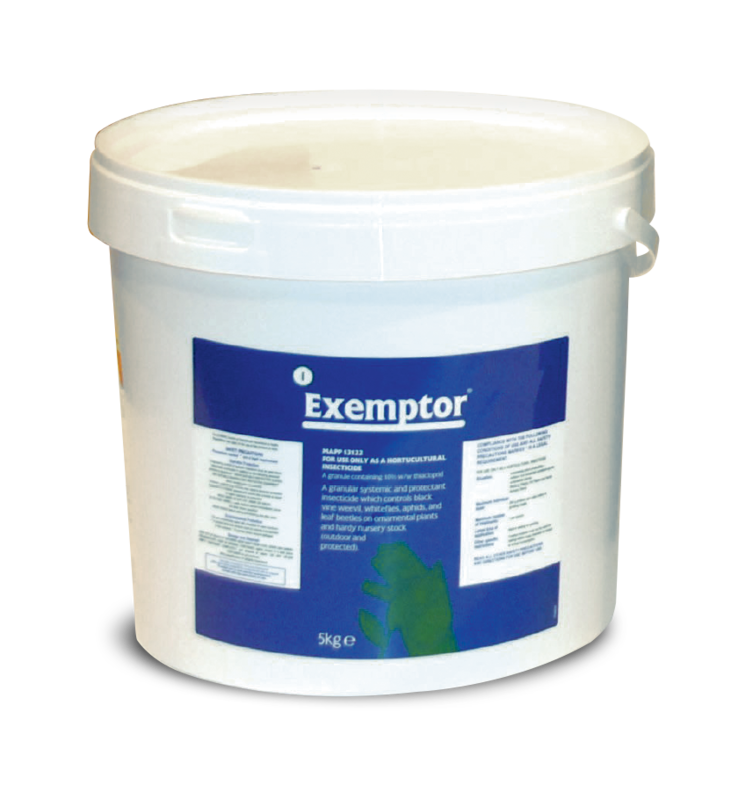 Exemptor (thiacloprid) is the only contact and systemic insecticide for the control of black vine weevil (Otiorhynchus sulcatus) and other major soil and foliar pests in container-grown ornamentals - both under protection and outside. major diseases of ornamental plants. Agroblen 15-8-16+5MgO is a 79% coated NPK controlled release fertilizer. Extra magnesium is included to enhance photosynthesis and plant energy. The combination of both coating technologies ensures enough nutrients to feed the crop for 5-6 months. This continuous supply of nutrients creates a marvelous uniform growth. Agroblen 11-21-9+6MgO is a fully coated NPK controlled release fertilizer designed for medium to long-term crops. It has enough nutrients to feed the plant throughout its 8 – 9 month crop cycle. This continuous supply of nutrients creates a fantastic uniform crop growth. 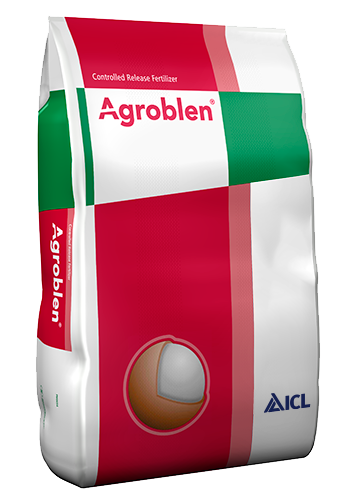 Agroblen Total 15-9-9+3MgO is a coated, NPK controlled release fertilizer. It has enough nutrients to feed the tree or plant for 12 – 14 months. This continuous supply of nutrients creates a fantastic uniform crop growth.